The fifth incarnation of Pure Phase Ensemble decided to not change a chord (key) throughout the entire concert. Well, that’s just plain boring, you could say – but this is definitely not the case. (There are plenty of melodies here). Although the majority of the record is made up of long, unhurried tracks, the band does this on purpose: they keep repeating One Chord, because – as Hugo Race sings – this is meant to have healing and therapeutic qualities. PPE5 is the longest record in our discography. Almost 80 minutes of music! This was the first edition where apart from the regular drum kit (Adrian Kondratowicz), we also had percussion instruments (Michał Peschke). The rhythm section was perfectly complemented by Przemysław Bartoś, with his characteristic, crisp bass, as if directly cut out from Motown Records (no slacking here). This is the first edition with a female member of the brass section (Marta Tykarska). The first edition, where all songs form one whole. There are no breaks. Phase E or G (previously generated by 7faz) is always playing in the background. This is the first record the producer (Karol Schwarz) recommends to listen from track 4 rather than 1***. With this long album, PPE5 musicians encourage us to slow down, leave the hectic pace of our lives behind. Yet despite the impression that they haven’t changed a chord (key) throughout the entire 80 minutes, they’ve in fact done it twice! 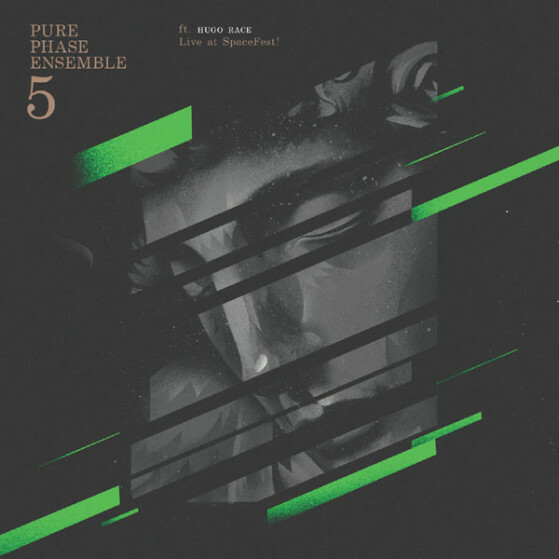 Tracks 2-4 are in the key of – or phase – E.
Tracks 1 and 5-10 are in phase G.
Anyway, Hugo Race brilliantly led the ensemble through an ocean of pure phase waveforms. ***When playing the album, choose the REPEAT ALL option.